8.0 oz ComfortBlend 80% cotton, 20% polyester. Made with up to 5% polyester from recycled plastic. Light Steel is 70% cotton, 30% polyester. 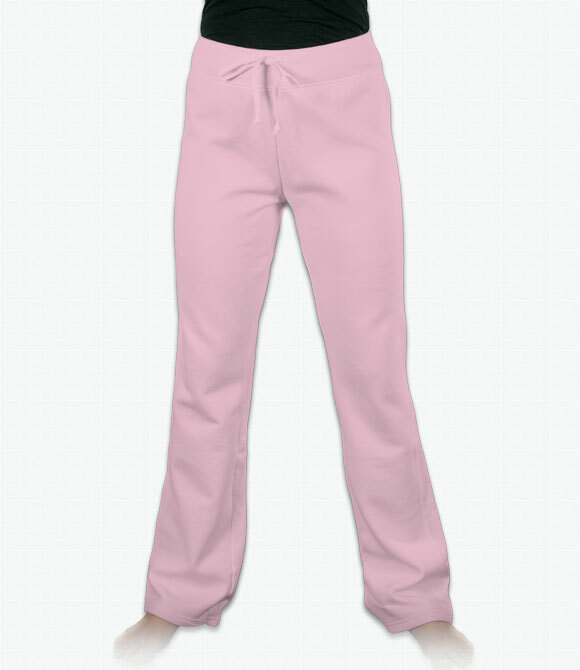 Slightly flared bottoms; drawcord; covered elastic ribbed waistband; hemmed bottoms. Relaxed fit for ladies. Perfect for the gym or around-the-house. Warm and comfortable. Soft, durable material.